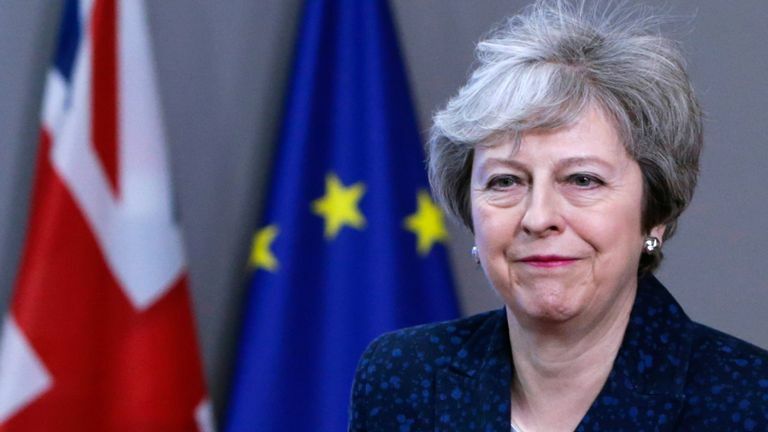 British Prime Minister Theresa May will ask the EU for a postponement of the Brexit until the end of June with the option of extending that postponement for two years. British media reported that today. France and Italy are not very happy with the plan. May will ask that in a letter today or tomorrow to EU President Donald Tusk. Tusk has already said that he wants the heads of government of the EU countries to be open to a long postponement of the Brexit if the United Kingdom deems it necessary to reconsider its Brexit strategy and build consensus around it. The BBC reported after a meeting of the British cabinet that May is going to ask for a delay. According to one source, there was “no agreement” in the cabinet and even anger about May’s decision. The postponement of the Brexit is not apparent and not automatic. The French Government has emphasised this in a statement. To postpone the Brexit, there must first be a credible alternative. That must, therefore, be drawn up in the coming days or hours, Paris warns. Italian Prime Minister Giuseppe Conte said today that he was in favour of a short delay. If that would be long, the Brexit problems will only be pushed forward. The basic agreement May concluded with the EU for the departure of her country from the European Union has been rejected twice by the House of Commons. A third attempt by May to guide her Brexit deal through the parliament has been blocked on Monday by President John Bercow. The Brexit is scheduled for March 29.